A ligament is a tough, fibrous band of tissue that holds two bones together. A finger sprain can range from a moderate stretching injury to tear of one of the ligaments holding the bones of the finger together. 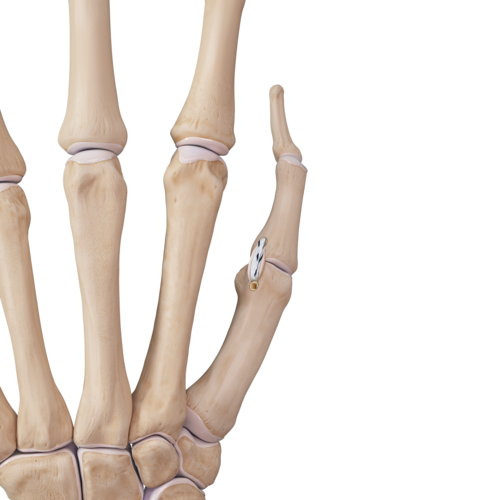 An accident or injury, which pulls apart the bones of the finger, can result in a sprain of the ligament. In mild sprains, the ligament is stretched. In severe sprains, it is torn or avulsed. Symptoms may include: pain, swelling and/or bruising of the finger. Your surgeon will examine the finger and palpate the joint that is injured. Tenderness to palpation or with bending the finger (stretching the ligament) are signs of a sprain. X-rays are obtained to rule out concomitant fracture. Sprains are treated with rest, ice, anti-inflammatory medications, elevation of the hand to reduce swelling and splinting or wrapping the finger. The finger may be 'buddy taped' to a neighboring finger for stability. When taped together, the uninjured finger acts as a splint by providing support to the injured finger. 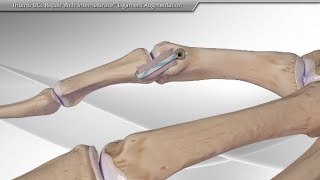 Most tears and ligament avulsions due to severe sprains need to be repaired with special suture anchors, or reconstructed with a small tendon graft taken from the wrist.